SKU: N/A. Category: Medical. Tag: Di-Vetelact. 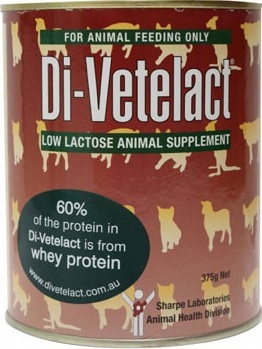 Di-Vetelact is a low lactose animal supplement ideal for use as a milk replacer for orphaned and early weaned animals. 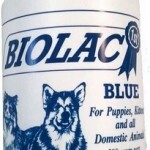 Can also be used as a general supplement for older animals, pregnant and lactating animals. DI-VETELACT is suitable for puppiess, kittens, rabbits, foals, lambs, calves, piglets, kids, creas, fauns, furred and furless native animals. It is 95% lactose free.